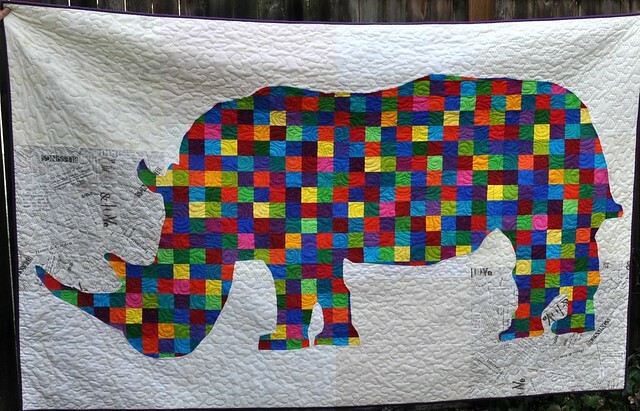 So, I made a rhinoceros quilt. 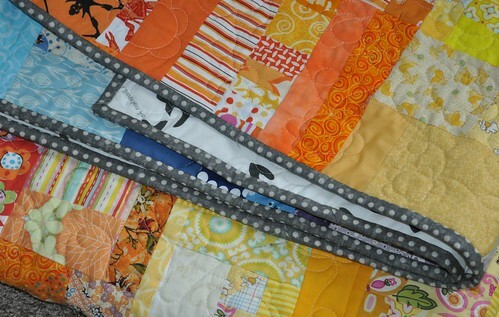 I pieced the rhino using 2.5" squares cut from a Kona New Classic roll-up. 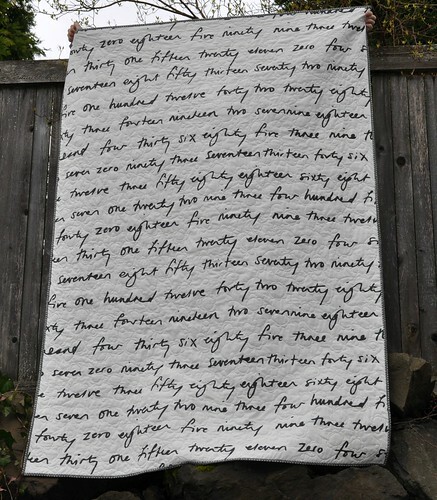 The background is made of 12 cream neutral pieces (6 different fabrics). 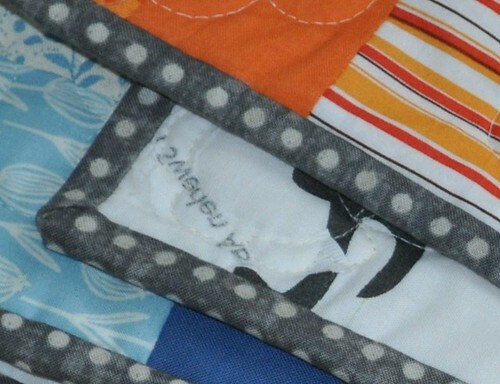 The rhino is machine appliqued to the background. 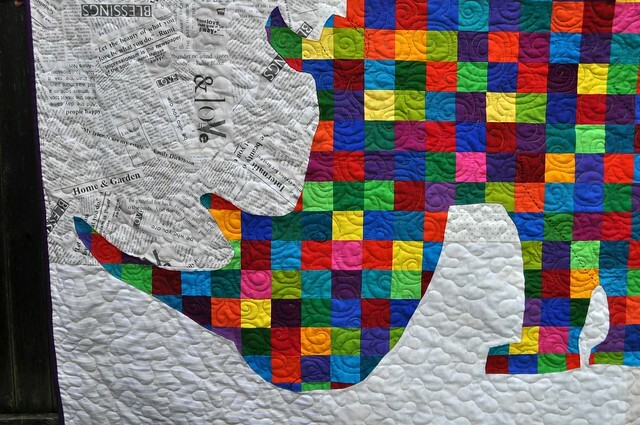 I machine quilted the rhino with swirls and variegated thread, and the background with a fairly open stipple and off-white thread. There are some detail lines hand stitched on the ear, eye, legs, and tail, but they don't show up very well. 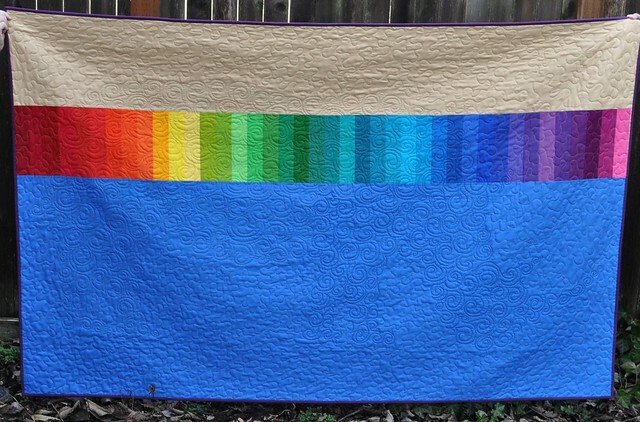 For the back, I pieced together the rest of the Kona strips in relatively rainbow order, and then put that rainbow in between a blue solid fabric from Connecting Threads and a tan fabric I got from a giveaway at guild meeting a while ago. The binding is an eggplant purple solid from Connecting Threads. 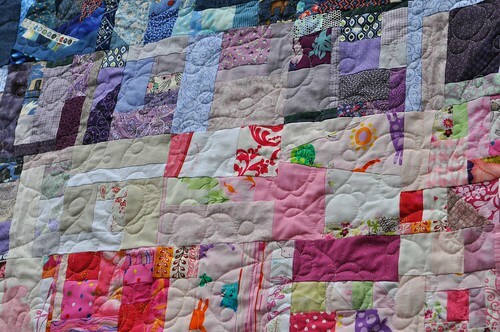 I started this quilt back in the summer and had a different (crazier) plan before I decided on the random color placement. 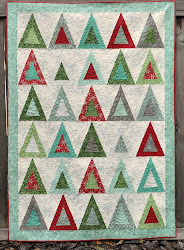 I was hoping to finish it for a Christmas gift and then my sewing machine had to go to the shop for most of December. I thought I might be able to get it done for my brother's birthday in February, but I didn't. I did finally finish it and send it, but before I did, I decided I liked it so much that I needed to make another one to keep. I'll show you my progress so far in a couple days. 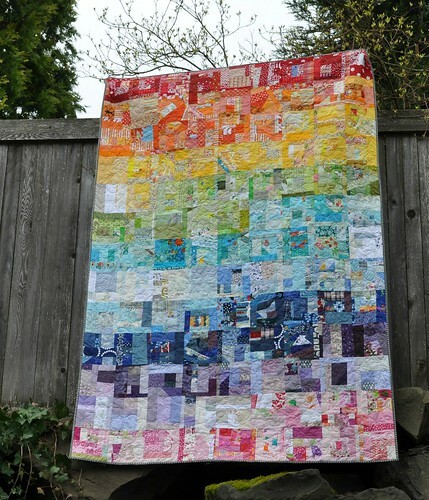 I would love to hear about the craziest quilt you've ever made!